Wear your authentic international attire all day to help kick off the week long celebration! JSU Global will also crown the 2019-2020 Mr. & Miss JSU Global. International students, faculty and staff meet up at Starbucks for an evening of fun, food and games. JSU Global will provide complimentary $5 giftcards to Starbucks (while supplies last). Interested in selling your crafts? Become a vendor at the International Bazaar. JSU Global will provide one 6 foot table and two chairs. Only 15 vendor spaces are available. Click here to sign up. Contact JSU Global at 601-979-1611 or email shameka.reed@jsums.edu for more information. Have fun teaching others how to say short phrases in your native language and earn volunteer hours while you do it! Click here to sign up or contact Derwin Miller at 601-979-1611. Thee Holi Color Festival is an Indian cultural event where people spread love through colorful powders. During the event, participants have the opportunity to have fun and throw powder on each other while listening to music and enjoying games. JSU Global will host a picnic on the lawn near the tennis court. Free food, games and lots of FUN! 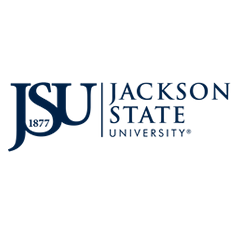 Then attend the JSU vs Alcorn State University baseball game where Interim Director Dr. Dianne Everett will throw the first pitch and international students will be recognized. Let us know you are coming by RSVPing. Click here to RSVP.